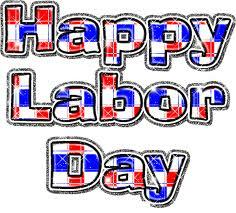 LABOR DAY: In celebration of Labor Day, Monday, Sept. 3, 2012, I would like to give recognition to the many dedicated Hispanic Labor Leaders. All of these Hispanic Unionists have fought and are fighting to continue the improvement of wages, hours, working conditions and benefits for workers. Their dedication, hard work and involvement in their Union helped create the middle class in America. I CAN ATTEST to the fact that organizing and representing workers requires hard work and perseverance. My experience is based on the fact that I was formerly the President of the Chicago Typographical Union No. 16/CWA 14408, elected during the1985 Chicago Tribune strike. I have the distinction of being the only Mexican-American elected President of CTU #16. For 10 years, I was elected the Recording Secretary and Organizer of my Union and served as delegate in both the State AFL-CIO and Chicago Federation of Labor for 17 years. Also, for 12 years as Secretary Treasurer of the Chicago Allied Printing Trades Council. In total I was elected 13 times to Union office. IN 1973, State AFL-CIO President Stanley Johnson appointed me to represent Illinois Hispanic labor at the National Constitutional Convention of the Labor Council for Latin American Advancement [LCLAA] held in Albuquerque, New Mexico. It was an honor for me to represent Hispanic labor of Illinois. Presently, I am the President/founder of the Hispanic American Labor Council. HALC was organized October 21, 1973. ALL OF THE Hispanic labor leaders whom I have had the honor of knowing over the many years in my Union career have a common trait; they are all active within their Unions. They hold the positions of Union Officers, Business Managers, Presidents, Vice-President, Secretary-Treasurer, Sgt.-at-Arms, Trustees, Union Representatives, Organizers, Shop Stewards and Union delegates; and each of them work faithfully in organizing campaigns, negotiating contracts, serving as strike captains or coordinators, attending many Union meetings, serving on Union committees and participating in Union elections. They spend weeks, months and years toiling in the field to organize the unorganized worker. Their involvement is the backbone of their respective Unions. 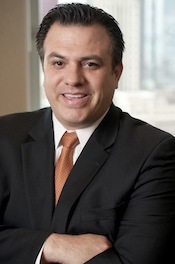 JORGE RAMIREZ, son of Mexican immigrants, is President of the Chicago Federation of Labor. Ramirez has a law degree from the Chicago-Kent College of Law and graduated as a student scholarship athlete from the University of Texas at El Paso in 1993 with a double major in marketing and computer information system. RAMIREZ was previously the Secretary-Treasurer of the Federation. Prior to joining the CFL, was elected Vice President and served as Executive Director of Local 1546 of the United Food and Commercial Workers International. He serves on numerous commissions and boards. JESSE M. RIOS, formerly the President of the American Federal Government Employees Union, Local No. 648 [AFGE] and presently serving on the Executive Board of the Chicago Federation of Labor holding the position of Sgt. of Arms. He was an active Union member with the United Auto Workers Union prior to becoming the President of Local 648. He is very knowledgeable on issues affecting Unions and the middle class. Jesse is the Vice-President of the Hispanic American Labor Council and he lives in Pilsen. JOSE A. CAEZ is the Business Manager/Financial Secretary of the IBEW Local 1031. Jose’s Union was the largest electrical workers Union in the State of Illinois. He has been active in his Union for many years and served on numerous Union committees. Presently, he is a delegate to the Chicago Federation of Labor and serves on the National Labor Council for Latin American Advancement [LCLAA] Executive Board and Treasurer of the Hispanic American Labor Council. JOSE GUERRERO is a member of the Amalgamated Transit Union, Local 241. He was formerly the Vice President of Local 241 and active in Union affairs for many years. He is presently a member of the Executive Board of the National Labor Council for Latin American Advancement [LCLAA]. In his retirement, Jose remains a strong advocate for the causes of the United Farm Workers of America. Jose said: “I’m proud to be a Union member”. HISPANIC LABOR LEADERS past and present: Francisco Montalvo, Jr., UPE Local 2287, University Professional Employees; Ricardo Loza, SEIU Local 73; Victor E. Gonzalez, Chicago Teachers Union, Local 1; Leo Velez Panatsis, HERE Local 450; Niebes Guerrero, Operating Engineers, Local 143; Joe Govea, I.B.E.W. Local 134; Geno Rodriguez, Teamsters Local 714; Raul Cantu, UFCW 881; Oscar Davila, Carpenters, Local 10; Rene Rodriguez, Sheet Metal Workers’ Local 73; Hector Hernandez, Teamsters Local 700; Herman Cortez, Amalgamated Transit Union, Local 308; Able Camacho, ATU 241. ANDY GASCA, Bricklayers Union; Charles Cordero, UAW Local 719; David B. Torres, County Municipal Employee’s, Supervisors & Foreman Union, Local 100; Henry C. Flores*, Plumbers, Local 130; Ramon Bercerra, IBEW 134; Ronald Maydon, SEIU 73; Julia A. Gutierrez, I.B.E.W. 134; John Chico*, United Steel Workers of America, Local 65; John G. Agrela, Sheet Metal Workers Union, Local 115; Ruben Almendarez, IBEW Local 134; Christina Barillas, Plumbers Local 130; Angel Del Rivero, Operating Engineers, Local 150; Luis Tovar, IBEW 134. JOHN GARCIA, ILGWU; Alicia Padilla, Teamsters Local 743; Fred Hernandez, Local I.U.E.C. Local 2; Arthur A. Velasquez, United Brotherhood of Carpenters & Joiner of America; Philip Gonzalez, AFSCME Local 368; Daniel C. Gasca Jr., H.E.R.E. Local 1; Mike Garcia*, I.B.E.W. Local 134; Maurico Villasenor, Plasters Local 74; Jose M. Reyes, Plasters Local 5; Eleazar Garza, Plaster Union, Local 5; Sergio Segura, United Steel Workers; Carlos Quinones, Plumbers Local 130; Sylvia Salas, ASFME Local 2856; Jose Barrios, IBEW 134; Juan Jose Hernandez, Laborers Local 681; Jose L. Hernandez, Laborers Intl. Local 681, Joe Sallas, Ironworkers Local 1; Alfredo Martinez, United Steelworkers of America; Hortensia Cartlidge, SEIU #73. JOSE ZAMARRIPA, Jr., Laborers Local 681; Robert Mendez*, Machinist Union; Fernandez Ruiz, Jr., Laborers Union; Leo Esparza, Local 118; Juan J. Hernandez, Laborers Local 2; Miguel Arias*, National AFL-CIO Representative; Robert Murillo*, USWA Local 65; Daniel Cabrera*, SEIU; James Ramirez, Teamsters Local 710; Eli Medina, SEIU Local 73; Peter Mendoza, AFSCME Local 1866, Sergio Monterrubio, UFCW 881. Hispanic labor leaders are the unsung heroes in our society; struggling in the trenches of the labor movement. *Deceased. MALDEF will also be paying tribute to Amparo H. Ortiz, Community Affairs and Promotion Director, Univision 41/TeleFutura 17 and the Honorable Justice Patricio M. Serna, New Mexico Supreme Court. CANALES’ popular “Johnny Canales Show” aired on Televisa in Mexico and Univision in the United States from 1988 until 1996. He showcased emerging bands from Mexico and the United States and credited with one of the first live performances of Selena by her thirteenth birthday. He took Selena y Los Dinos for their first concerts in Mexico. Some of the rising stars on the Johnny show included Nancy, La Mafia, Mazz, Intocable, Grupo Pegasso De Emilio Reyna, Fama, Jaime y Los Chamacos, Jennifer Pena and Los Tigres del Norte. 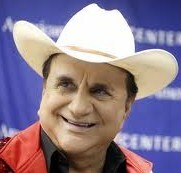 Canales was the Executive Producer of his show and a former Tejano singer. FOR YOUR enjoyment, link on to YOUTUBE for Johnny Canales’ videos interviewing Selena and performances of Selena y Los Dinos. PASSPORT DAY: Do you need a passport? 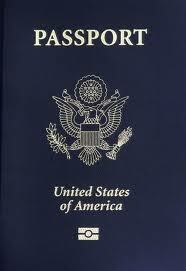 For your convenience, the Little Village Community Council, 3610 W. 26th St. will host a “Passport Day”. The event will take place when at least 25 people pre- register for a passport at the LV Council office. UNITED POSTAL Service personnel will come to the Little Village Council on “Passport Day”, take passport applications and process the forms. The cost of a Passport Book is $150 [Passport book $110; processing fee $25; photo $15]. PASSPORT SERVICES FOR A MINOR: A New Passport for a minor [under 16 years old] is $105. If your child’s passport is lost or damaged it must be renewed. Applicants must re-apply for a new Child Passport every 5 years until their 16th birthday. Passport cards fee: adults $55; for children $40. Fees must be paid with a money order. PASSPORT SERVICES FOR LOST/STOLEN: If you lost and/or had your passport stolen, you must re-apply for a new passport. You can request extra Passport Pages if you do not have enough pages for your next international trip. IF YOUR PASSPORT will expire within the next 6 months you will need to renew your passport. If your name has been changed you will have to re-new your passport. If your passport is badly damage, you will need to have it renewed. PASSPORT REQUIREMENTS: Proof of U.S. Citizenship [certified copy of a birth certificate], proof of identity [driver’s license, State ID, Military ID with photo] and two passport photos. Passport Photos Requirement: Passport Photos can be taken in your local area and must be sent along with the rest of your documentation for processing. AS YOU can see by the illustration given, Passport Photos have certain requirements and should be professionally taken due to the US Passport Agency standards. When you take your passport photos you will receive two identical photos to submit. Both photos must be sent in for processing. For more passport information, log on web address: travel.state.gov/passport OR call 312/286-3405. JUGOTERAPIA: Learn the secrets of a long and healthy life with Drs. Juanita Santillan’s Jugoterapia. A fun and delicious culinary experience that will change your daily routine. Santillan says, “No need to go on fad diets, let’s all eat healthy!” Open for showings this August and September. Make an appointment at your home or at Aloe Plus today. Juanita’s Price: $39.00. List Price: $65.00. Call: 773/991-5500 or 773/436/4500. EXPUNGEMENT WORKSHOP: The 2nd Annual Little Village Expungement Workshop is scheduled for Saturday, Oct. 6, 2012 at the New Life Church, 2657 S. Lawndale Ave. 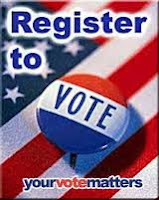 Registration at 8:30 a.m. - doors close at 5 p.m. SPONSORING organizations are Little Village Community Council, Attorney Jorge Montes & Associates, State Rep. Elizabeth “Lisa” Hernandez, State Sen. Steve Landek, H.O.P.E., Cook County Clerk’s Office [Blanca Jara], Illinois Department of Employment Security [Carlos R. Charneco]. how to apply for clemency, which includes pardon, expungement and sealing of criminal record. Bilingual lawyers will be present. Ex-offenders need to bring their rap sheet to the workshop. VOLUNTEER lawyers will be on site to help with expungement and sealing of applications. Additional services for ex-offenders will be information on employment, job training, health care and others. For more info call 312/286-3405. FRIDAY, AUGUST 24—“Labor Organization & Politics” at Chicago FOP Lodge #7, 1412 W. Washington Blvd. from 5 p.m. to 10 p.m. A panel discussion with panelists Jim Garity [AFSCME], Ted Street [Illinois Fraternal Order of Police], Christine Boardman, SEIU Local 73, Patrick Devaney, Associated Firefighter of Illinois. Judge-elect Jessica O’Brien is a co-moderate of the panel discussion. Individual Union Member advance ticket only $25; at the door $30. For more information call Michelle Ferrara 708/278-7278. AUGUST 24-26—Ald. Roberto Maldonado invites you to Taste of Latin America. On Armitage from Central Park Ave. to Avers Street. Friday 5 p.m. to 9 p.m. Saturday & Sunday. 11 a.m. to 9 p.m. Featuring authentic cuisine from countries across Latin America. Food, wine & art festival. Admission is free. For more info call 26th Ward Office: 773/395-0143. SUNDAY, SEPT. 9—26th Street Mexican Independence Day parade. Kickoff: 12 Noon. Parade route 26th St. & Kedzie Ave. west to Kostner Ave. Hosting the parade is the Little Village Chamber of Commerce. Call: 773/521-5387. LV BLOCK PARTY: The 7th Annual Community “Back to School” Block Party will be held Sunday, August 5, 2012 from 8 a.m. to 5 p.m. at 26th St. & Central Park Ave. “La Garra deLa Villita” [garage sale] will also be part of the block party event. FREE BACKPACKS with school supplies will be given to Little Village grammar school children. The children will also be given free popcorn and hot dogs. A jumping jack, an animal petting farm will be part of the block party. Children will be able to ride on a pony for a $5 donation. A public washroom [porta potty] will be available at the block party. “LA GARRA” vendors will be selling a large assortment of items, clothing, jewelry, household goods, birds, shoes, Mexican food and ice cream at the Block Party. THE BLOCK party is hosted by the Little Village Community Council and sponsors are Little Village SSA#25, El Milagro Tortilleria, Walgreens, Meyer Steel Drum, Inc., Polar Ice Co., Aztec Mall, State Rep. Lisa Hernandez, Lawndale News, Midwest Generation, H.O.P.E. organization and Second Federal Savings. COMMUNITY BANKER: Banker Antonio R. Guillen is the new branch President of Second Federal Saving, 3960 W. 26th St. in Little Village, a Branch of Hinsdale Bank & Trust Company a Wintrust Community Bank. WINTRUST is a holding company who buys banks. They took control of Second Federal on Friday, July 20, 2012. “I was on the job the next day Saturday, July 21st, we didn’t miss a beat” said Guillen. With Wintrust, Guillen is a Senior Vice President for commercial lending and Diverse Markets Manager. He has 33 years of banking experience. GUILLEN STATED there will be no name change for Second Federal Savings at this time. “We are here to make positive changes,” said Guillen. There will be a new Board of Directors who will be selected to represent the community. “We want to operate as a community bank. I am a community banker,” said Guillen. GUILLEN, a Mexican-American, is meeting with Little Village community leaders to develop a relationship. “People are losing their personal relationships with neighborhood banks. We want to start anew. The commitment starts from the top and we are here to embrace the community. We want to serve the needs of its residents”, said Guillen. Meeting Guillen was a pleasure. He was open, friendly and gracious. Someone you should know. FRIENDS OF AVILA: A fundraiser was held by friends of Commissioner Frank Avila, Metropolitan Water Reclamation District of Greater Chicago last Thursday, July 26, 2012 at the Irish American Heritage Center, 4626 N. Knox Ave. It was attended by many of his family, friends and supporters. COMMISSIONER AVILA is an environmentalist, civil engineer and a land surveyor with more than 40 years of experience. He was elected to the Board of Commissioners of the Metropolitan Water Reclamation District of Greater Chicago in 2002. Commissioner Avila is Chairman of the Engineering Committee and the Committee on Maintenance and Operations. “My office is important for the environment. We treat waste water,” said Avila. AVILA RECEIVED his Bachelor of Science degree in Civil engineering from the University of Illinois, Champaign-Urbana and a Master of Science in Finance from the University of Arizona. “MY TOP priorities are environmental protection and fiscal control,” said Commissioner Avila. 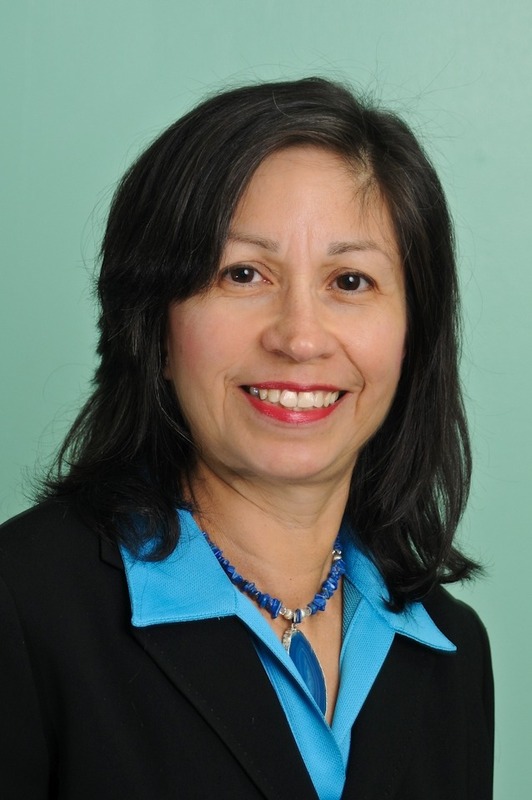 The Commissioner is married to Sherry Avila and lives in the Edison Park area of Chicago for the past 30 years. They have three children Frank Jr., Quinn, and daughter Audrey. GANG AND GUN VIOLENCE: Cook County State’s Attorney Anita Alvarez proposed and drafted a new law that increases criminal penalties for street gang members who are arrested by police with loaded weapons. The measure was signed into law in December of 2009 and is currently in effect throughout the State of Illinois. THE NEW law was named in honor of slain Chicago Police Officer Alejandro Valadez, who was killed in June of 2009 in a drive-by shooting. Defendants convicted under the new law are now given a mandatory prison sentence instead of being eligible for parole. Hundreds of street gang members have been charged under the new law and nearly 90 percent of those cases have resulted in convictions. ANITA RETURNED to the courtroom for the first time since her election as State’s Attorney to personally prosecute the offenders who have been charged with the murder of Officer Valadez. She secured a guilty verdict in the jury trial of the first defendant in September of 2011 and the trials against the two remaining defendants are pending. SUCCESS STORY: Young swimmer, Isabel Veliz, a resident in the 1st Ward, won five swimming contests. “During Ward Night last Tuesday, I was thrilled to see one of my favorite young constituents, Isabel Veliz” said Ald. Moreno. Last year Ald. Proco Joe Moreno sponsored her to go to swimming camp and again this year because of her successes, talent and obvious passion. Ald. 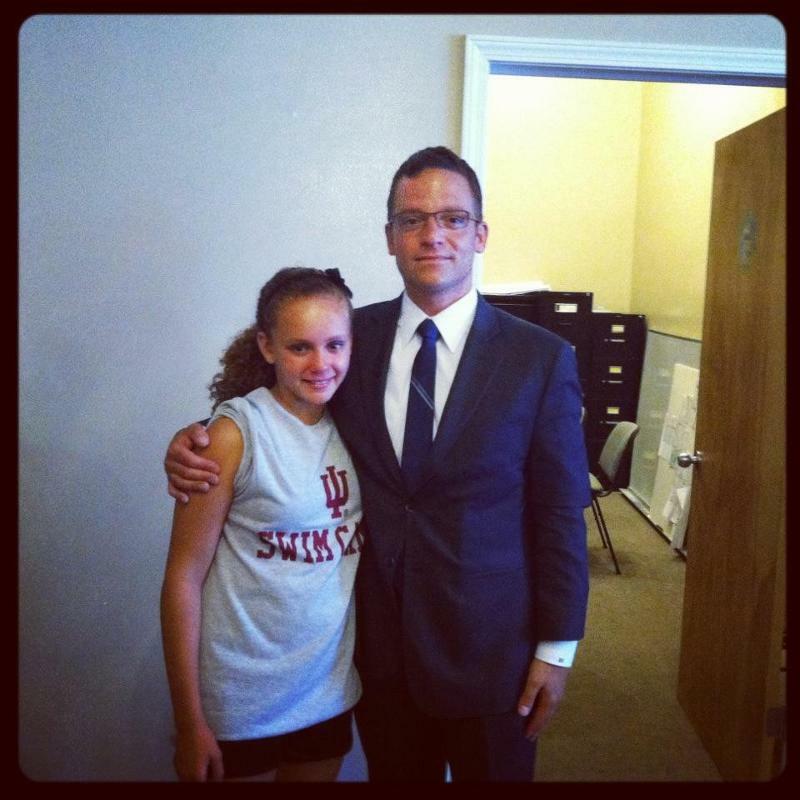 MORENO said: “I sponsored her for camp at Indiana University, and I'm proud to report she won five [swimming] races. Isabel is too young for the Olympics this time around, but I'm hopeful to one day have a 1st Ward Olympic medal winner and she just may be the person to do it”. FIRST WARD office is located at 2058 N. Western Ave. Phone: 773/278-0101. 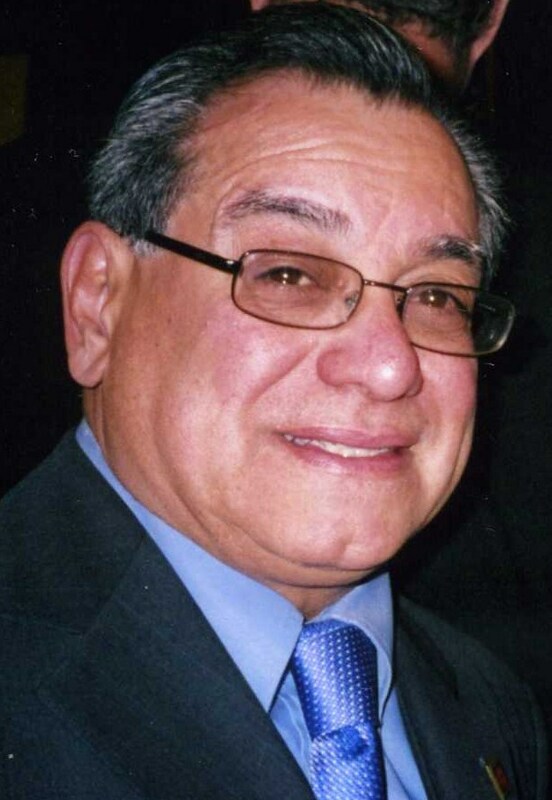 IN MEMORY: A South Chicago friend, Louis Villarreal, a.k.a. “CTA Lou” passed away on July 14, 2012. His wake was held at Elmwood Chapel, 112th & Ewing Ave. on the eastside of Chicago. Louie was a father, paratrooper, steelworker, CTA bus driver, truck driver and former Commander of the South Deering American Legion Post 1238. LOU WAS married to Susan and parents of four children, Robert, Richard and two deceased children, Steve and Yolanda. He graduated from J. N. Thorp Elementary School and Bowen High School. He did basic training at Fort Lewis, Washington and trained at Ft. Bragg in North Carolina. He earned the rank of Sergeant and trained troops to parachute jump. He was discharge in May 1955. VILLARREAL WAS active in the South Chicago community and very active in veteran’s affairs. He lost to lung cancer. We thank and salute Commander Villarreal for his service to our community and country. AUGUST 10, 11 & 12--AugustFest on Friday, from 4 p.m. to 10 p.m., Sat. 11 a.m. to 11 p.m. and Sun. from 10 a.m. to 10 p.m. Carnival Rides/Juegos Mecanicos, food booths, music and raffle. AugustFest is sponsored by St. Agnes Church, 27th Street & Central Park Ave. More info call 773/522-0142.